Established in 2007, the Kapunda High School Centenary Foundation Inc is a member of the Country Education Foundation of Australia. It provides assistance to senior students of Kapunda High School who are planning to take up tertiary studies or recognized vocational training placements upon completion of their secondary education. The Jim Bettison Scholarship is currently for $8,000, payable over four years at $2,000 per annum, contingent upon award requirements being met and satisfactory completion each year of a chosen course or training placement. The Foundation also offers a number of Country Education Grants, which currently support between 10 to 15 students. These grants provide financial assistance to current senior students who submit an application outlining their educational and training goals and a specific area where they may require help to achieve these goals. Former students of Kapunda High School who attended the school for at least the last two years of their secondary education and who are aged under 21 years as at 1 January of the year for which they are applying, are also eligible to apply for these grants. Successful grant recipients and the Scholarship winner may also be eligible to receive additional financial assistance through the Country Education Foundation of Australia Education Partnerships with individual universities through a Matching Grants arrangement. Applicants will be required complete a formal application and undertake an interview with the Selection Panel. 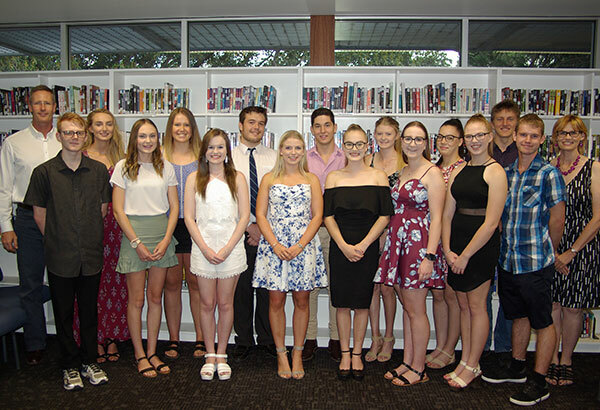 An information session for year 12 students occurs early term 3 and application packages for both the Centenary Foundation Jim Bettison Scholarship and the education grants programme are available from the Reception office of Kapunda High School or by phoning the school on 8566 2203. All applications are usually required to be submitted by the end of September prior to the year of planned study or trade training placement. Please check for the exact closure dates on the Country Education of Australia (CEF) website. Applications are to be made on-line via the Country Education Foundation of Australia’s website: www.cef.org.au and following the prompts for GRANT APPLICATIONS.